The sun is shining again and your vehicles interior is heating up. Window Tint has been shown to decrease the interior temperature of your vehicle by up to 10% by blocking the heat from the sun. Window Tint will also protect your interior from fading and protect your valuables from being seen. All these great benefits plus Window Tint makes your vehicle look great too! Time for Fun in the Sun! Get your vehicle equipped to pull your boat and trailer or carry your bikes and cargo. We can outfit your truck with Hitches, Fifth Wheels and Goosenecks ready to get you where you want to be. We use top brands like Drawtite, Curt, B&W and Blue OX. Going golfing, Going to the Beach, Moving kids home from College, or just pick up groceries. All these activities require the use of your trucks bed and you don't want your cargo uncovered as you travel. Painted to Match Fiberglass Caps add optimal cargo space and protect everything inside your truck bed. Bed Covers from Extang, Bak, Truxedo and more add a great look to you truck and make sure your stuff is not seen or tampered with. Your new truck is Awesome! It looks great, drives smooth and you feel safe on the road. Just one problem, you and your spouse cannot get into it without pulling on the steering wheel and rubbing a hole into the side of the seat. We can solve this issue for you. With Step Bars or Running Boards you can save you seats and your body from coming apart trying to climb into your new truck. We have all the different styles including Power Boards, Black Powder Coated and Stainless Steel. Come into our showroom to see which works best for you and your truck. This is the second time purchasing a tonneau cover from this business. Both times there prices were cheaper then the other competitors for the exact same cover. Store is clean, staff is knowledgeable and pleasant to deal with. Would highly recommend them. Had a remote started installed in my car. It was very friendly and fast service, but then after getting it home I couldn't figure out what I was doing wrong to get it to start on my own. I called them, explained the situation and they were more than happy to come out and take a look that was the most convenient for me and solved the issue. I could definitely tell they care about their customer's satisfaction. 2015 F-350 SUPER DUTY PLATINUM I had them install Recon amber led cab lights. It required drilling holes in my roof. I let it in there hands it was done in one day professionally installed no leaks and they also made sure it won't rust for future longevity. I am very happy and satisfied will be back soon. Came here based on the recommendation of a friend and am very glad I did. I had been shopping around to have heated seats installed in my mothers vehicle for a while and not only were these guys one of the few shops willing to do it, they were much more reasonable than most competitors. The install took as long as they quoted me and the work is top notch. I would recommend this place to any of my friends. Auto & Truck Accessories offers a variety of truck parts, including both interior auto accessories and exterior auto accessories, for Warren, Michigan truck owners to choose from. We absolutely love our trucks, so why not enhance their functionality and appearance with add-on parts? Auto & Truck Accessories boasts a variety of accessories, and our team is easily able to install any addition on your vehicle. We are your one-stop shop. 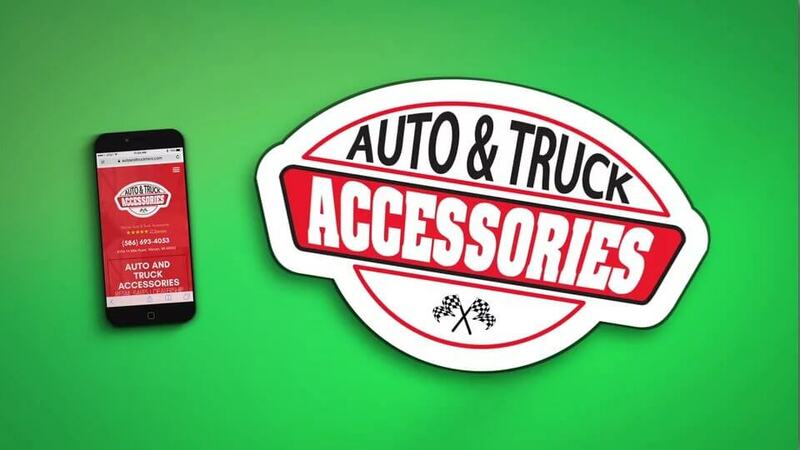 The team at Auto & Truck Accessories wants your auto or truck to meet and exceed your standards. If your truck is lacking something that affects your functionality, convenience, or safety, we have the accessory to amplify the performance of your vehicle. We are a second generation business, so our passion for truck parts runs in our family. We love helping our customers find the right accessory for their needs. If you have any questions, please feel free to contact us. Auto & Truck Accessories is located at 8154 E. 14 Mile Rd. in Warren, Michigan. We look forward to seeing you soon!